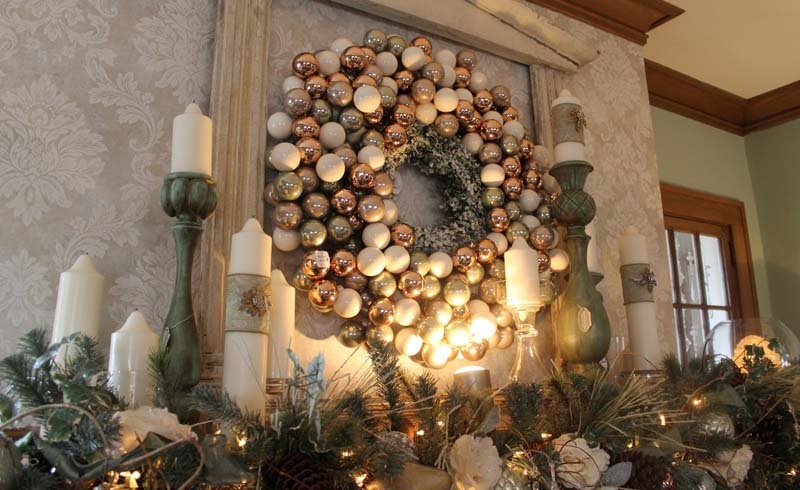 With seasonal decorating in full swing, it’s time for festive inspiration. Bachman’s, a family-run Minnesota business that started in 1885, opens one of the historic Bachman family homes in south Minneapolis for a few weeks each year to give visitors fresh decorating ideas. 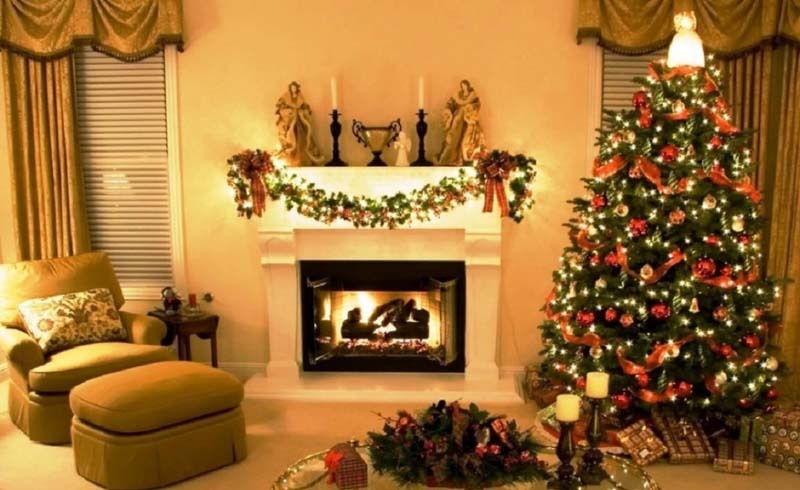 This season’s decor mixes vintage and new items to create glad tidings and good cheer throughout the house. Transforming a bookshelf into a cheerful display with pinecones, candles and spruce greenery can change the aesthetic of an entire room. While curating a shelf, check around your home for items to repurpose. A wooden birdhouse, vintage license plates and picture frames form part of the arrangement at the Idea House. The decor pieces can stand alone or accompany your book collection. Ready the kitchen countertop or island for entertaining with bright tablecloths and a tiered food display. 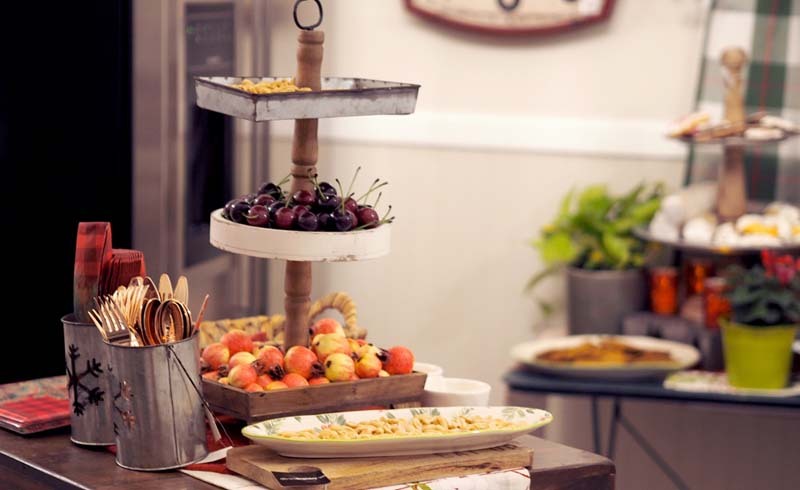 A mix of fruits, nuts and sweets provides colorful appeal and gives guests a choice of healthy versus indulgent! Corral napkins and utensils in baskets and tins within easy reach. Brighten any serving tray with a small vase of flowers and festive linens. 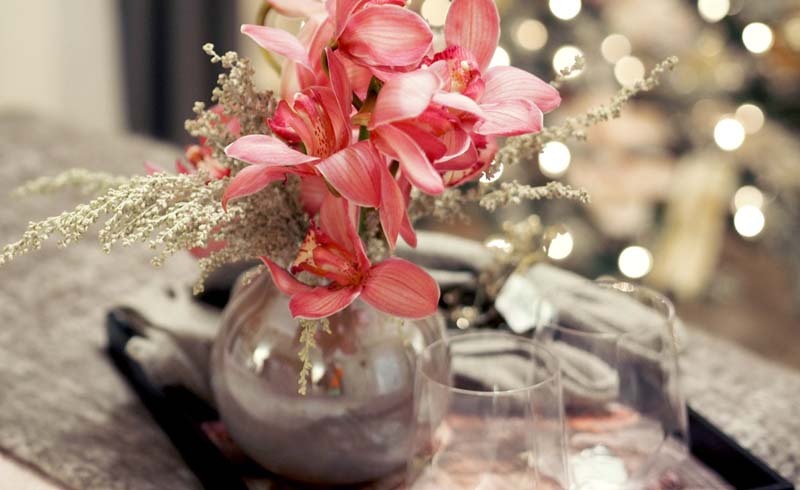 Metallic and reflective surfaces such as the vase in the photo amplify the effect of holiday lights and other decorations. 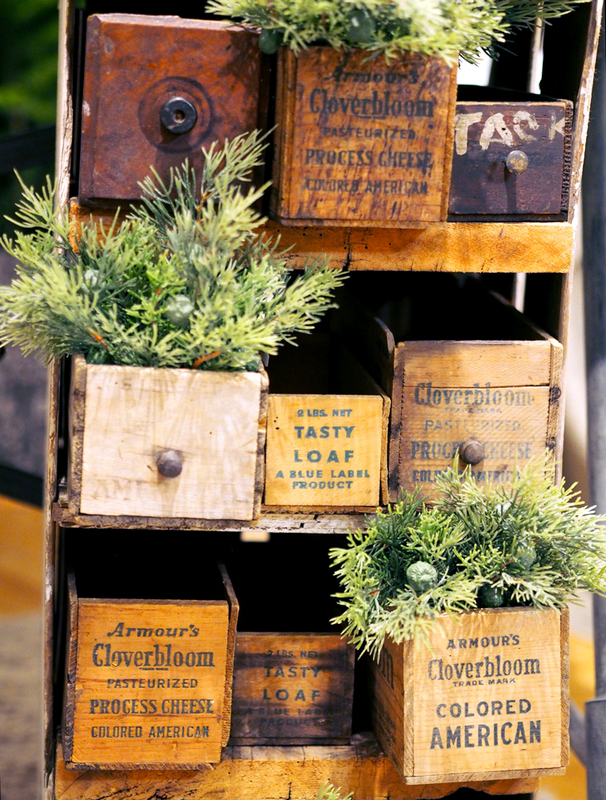 When you add greenery to vintage boxes, the combination is a wintry and cozy decorating win. 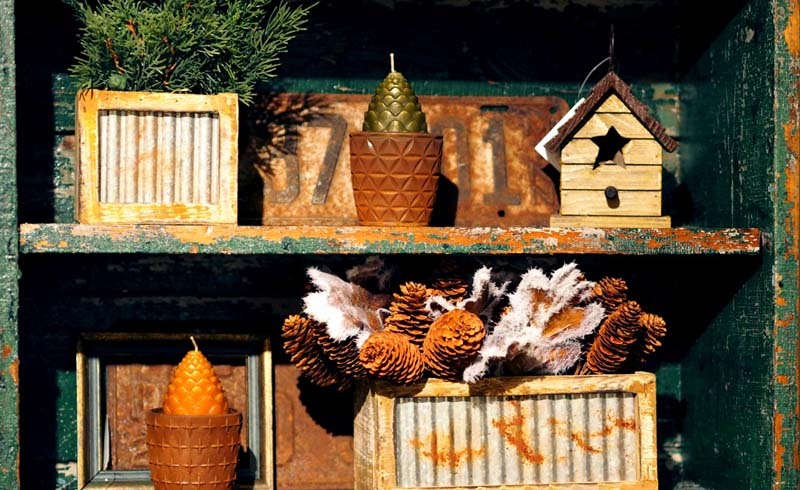 Bachman’s paired faux spruce tips with weathered wood containers on a shelf, but you can recreate the idea using any wood object old or new. 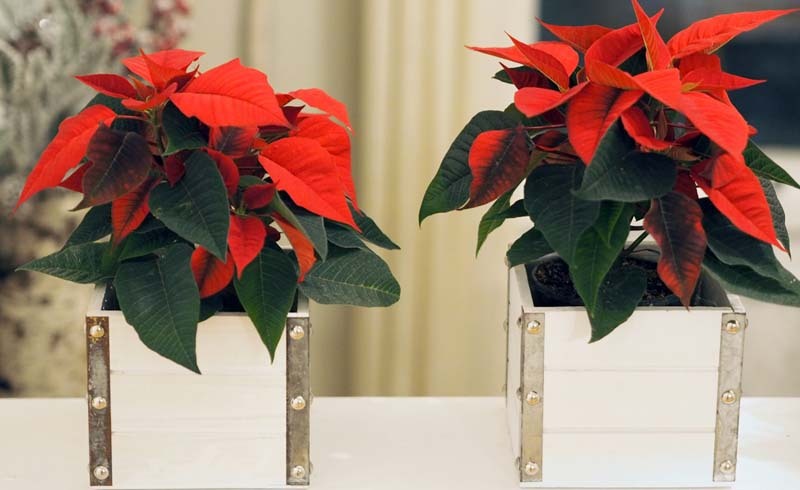 The Idea House inspires visitors to amp up the holiday cheer in every room of the house. While the bathroom may not top your list of must-do decorating, carrying the seasonal theme throughout the house is a thoughtful touch. 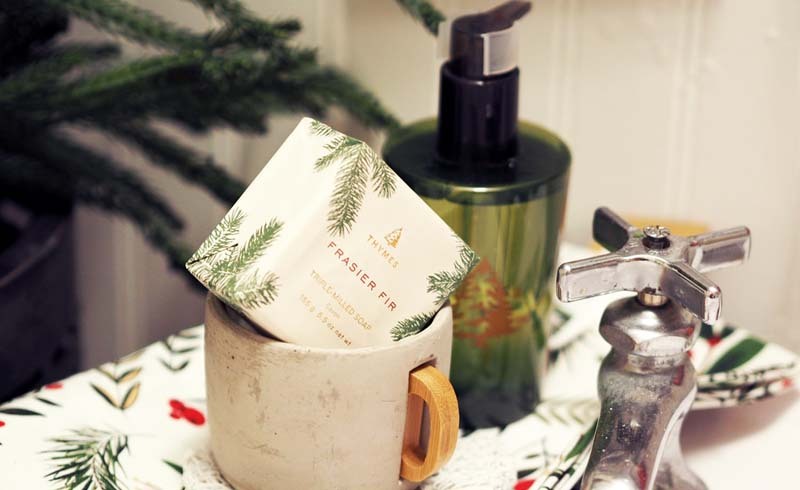 Fir-scented soap and winter-motif hand towels are an easy way to make even the powder room glow with holiday spirit.